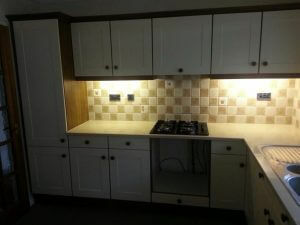 We upgraded this kitchen in Dronfield with some new doors, in Legno magnolia and the design is Cologne. 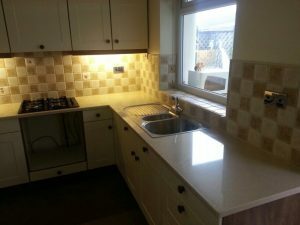 They had a new hob and oven and we upgraded the worktops to A granite in white starlight. Just a little note to say thank you for my new kitchen. many thanks to Grant and Mark for their patience and being so helpful throughout the whole process. I really love it and would recommend Nankivells for either bedrooms or kitchens!